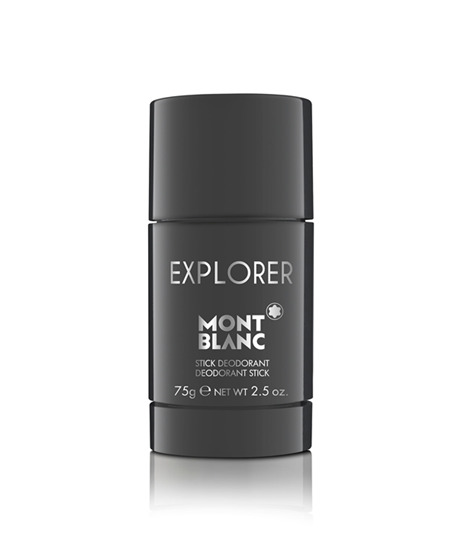 EXPLORER EDP, an unconventional woody aromatic leather scent that reveals a fresh green Italian Bergamot, contrasted with a powerful Vetiver from Haiti, and combined with rich and exclusive Patchouli from Sulawesi. Be prepared to discover new horizons… An authentic fragrance, full of adventure and freedom, that reveals refined masculinity, presence and charisma by narrating a journey around the world. Scent Composition Explorer is a woody aromatic leathery fragrance. Top note: Bergamot - Pink Pepper - Clary Sage Heart note: Patchouli - Mahonial - Ambrofix Base note: Vetiver - Leather - Cedarwood Discover EXPLORER through this Deodorant Stick.